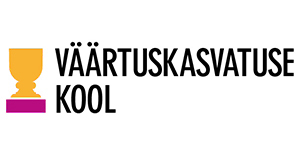 Nissi Basic School is a little country school in small borough Riisipere in the county of Harju. 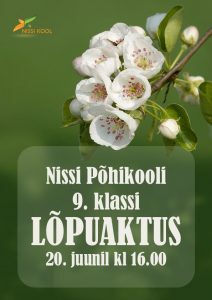 It is bordered by beautiful Estonian nature: forests, swamps and bogs. 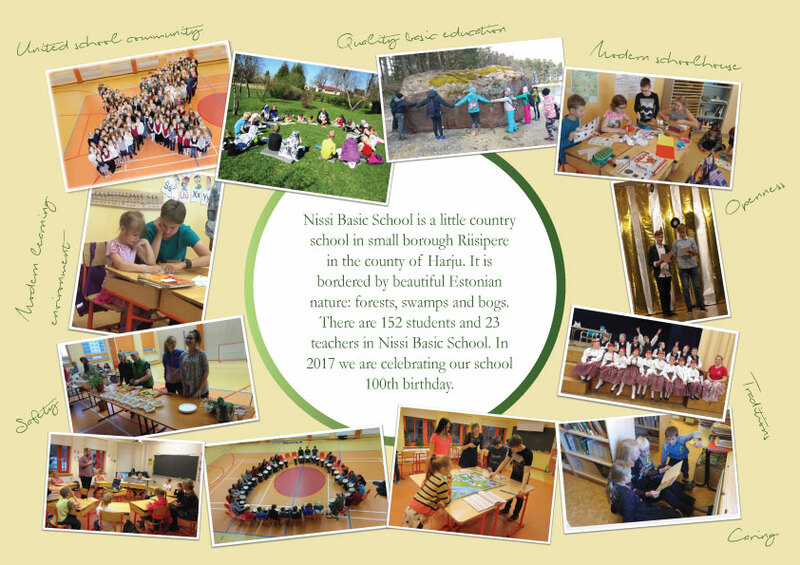 There are 152 students and 23 teachers in Nissi Basic School. In 2017 we are celebrating our school 100th birthday. Estonia is a country in the Baltic region of Northern Europe bordered to the north by the Gulf of Finland, to the west by the Baltic Sea, to the south by Latvia and to the east by Lake Peipus and Russia. Across the Baltic Sea lie Sweden and Finland. The population of Estonia is 1.32 million, which makes us the fourth smallest country in the European Union after Malta, Luxembourg and Cyprus. Population density in Estonia is 30.3 people per km². That is almost four times less than EU’s average – 116.7 people per km² –, making Estonia the third sparsely populated country in EU. Forests cover about half of Estonian territory. More than 40% of them belong to the state and are certified as organic collection areas. Everyone can freely pick berries, musrooms or just enjoy the freshest air. About 1.1 million people speak Estonian, one of the world’s smallest official national languages. It is used successfully in all areas of society. Estonians also speak a variety of other languages. 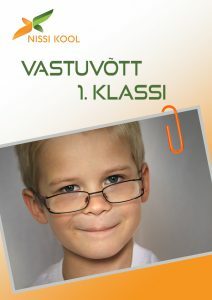 According to OECD’s PISA results, Estonian basic education is the best in Europe and in the top 3 globally. Our pupils’ science, math and reading skills are outranked only by Singapore and Japan. Estonians understand technology: Skype revolutionized communication, TransferWise changed international money transfers, GrabCAD helps to build products faster and Starship robots reframe local delivery. By culture consumption, Estonia is one of the leading countries in Europe. Our 1.3 million inhabitants make about 3.3 million museum visits, 3.1 million cinema visits, 2 million concert visits, and 1.2 million theatre visits annually. Source: https://estonia.ee/ what is an official virtual gate to Estonia. 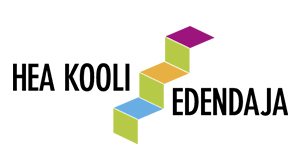 That website tells our story and presents all the major facts and figures that illustrate who we are and what Estonia is. We hope it inspires you to either visit, enter, join, taste, feel, enjoy or think Estonia. 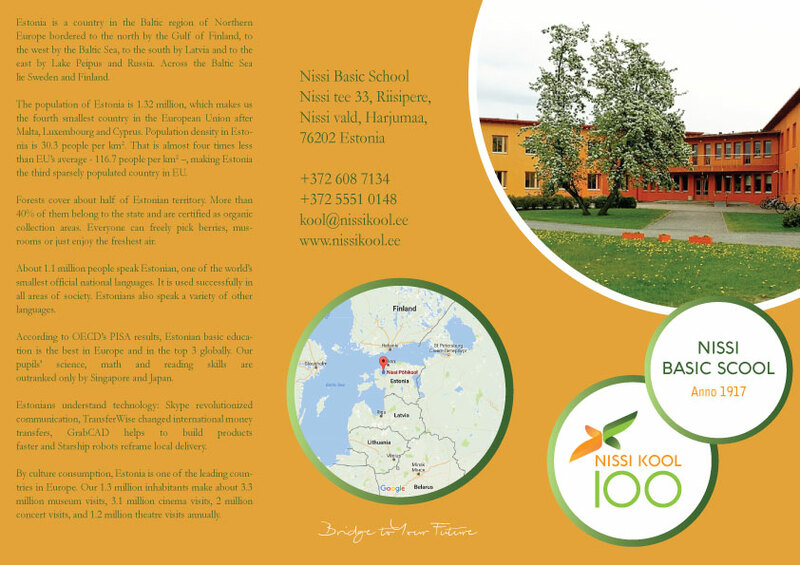 If you would like to know more, please visit Estonia.ee.